Sponsored solely by the American Foundry Society (AFS), CastExpo is the single largest trade show and exposition for metalcasting in the Americas. 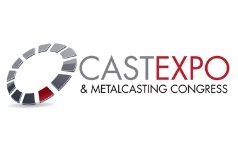 CastExpo’13 will offer metalcasters, suppliers, and casting buyers and designers the opportunity to connect and educate themselves on the latest and greatest metalcasting has to offer. Biotechnica is the ideal platform where suppliers of equipment & consumables will meet engineers, research-personnel & procurement managers of Indian biotec-companies. BIOTECHNICA mirrors the successful development of one of the most important sectors of the future. More and more exhibitors and visitors from across the globe are taking advantage of Europe's leading biotechnology event. 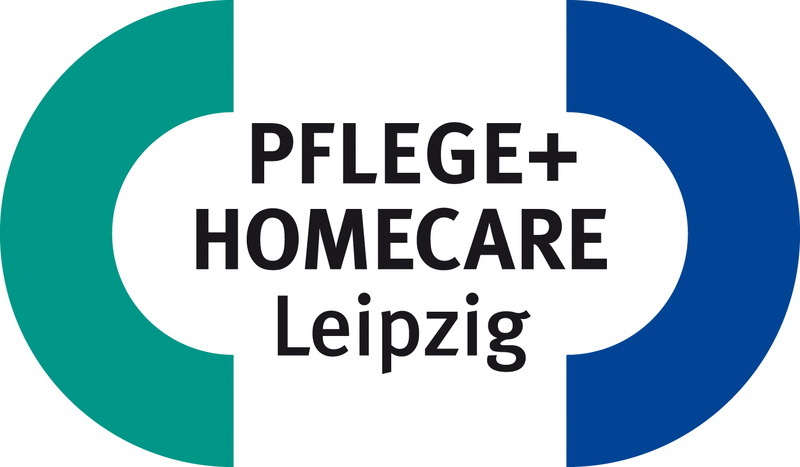 PFLEGE + HOMECARE LEIPZIG is the only specialist event in Germany that caters for all core areas of professional care, general care and home care provision on an equal footing. The Rehab Karlsruhe as an international trade fair for rehabilitation, care, prevention and integration offer visitors a comprehensive overview of the latest products and services in this area. Demands made on the quality of health-care aids and services have grown enormously, which represents both a challenge and an opportunity for manufacturers, suppliers and service providers. Participating in Rehab gives you the chance to present innovative products, new therapies, etc. to a broad international audience, thus creating a tangible competitive advantage. International Dental Show is the world's leading trade fair, event for making business contacts, and marketplace for the dental industry. Learn about the latest products and process innovations presented by more than 1,500 exhibiting companies from 48 countries. Medifest, the medical technology show is a Premiere Medical & Healthcare Techno Trade Event which brings together a varied genre of medical professionals under one roof to interact, promote and transact business in this industry. It is a complete International Exhibition with a huge number of participants form all over the world to showcase the latest advances in the medical & healthcare community. This dedicated show is scheduled to be held on 24-25-26 August, 2010 at Cape Town International Convention Centre, Cape Town, South Africa. Medifest, the medical fair is the ideal prospect to network with healthcare professionals, see the newest innovations in technology in health care and meet company ambassadors face-to-face to find out the new developments. The key features of the fair include Seminar & Conferences organized on the most upcoming issues in the industry like Infection Control, Hospital Accreditation, Stem Cell Therapy. Medifest features stimulating discipline specific and multi-disciplinary sessions that make it possible for every healthcare associate to update their precise knowledge and its relevance in their workplace. The show attracts a huge no. of radical medical equipment manufacturing & distribution companies to showcase their medical technologies, products and services. San Jose McEnery Convention Center / U.S.A.
BIOMEDevice is positioned at the center of the converging medical device and biopharmaceutical industries in the U.S. Its exposition will include 250 suppliers to these industries and feature special-focus pavilions for Lab Automation, Cleanroom Systems, and IVD Technologies. Denta Expo, International Exhibition of dentistry is the leading international event for the entire Romanian dental market. Your development, innovation and services covering all aspects of dentistry and dental technology will be viewed by professional buyers - 7430 dentists and dental technicians. Medica.de is the premier and largest international medical equipment and healthcare exhibition. More than 500 of the international healthcare and top domestic companies including dental, eyecare, orthocare, pharma and lab companies will be taking part. It will attract a large number of international exhibitors, delegates and the trade community and decision makers ensuring Medica the premier healthcare and medical event. European Antibody Congress is Europe's largest and most influential antibody event. Companies already supplying this market are clamouring to be the supplier of choice as pharma and biotech take developments to the next level. European Antibody Congress are currently the fastest growing sector of the biopharmaceutical industry. VISION 2014, the world's largest and most important annual trade fair event for the machine vision community, has even more to offer for a wide-ranging audience such as the Medical Discovery Tour and the Integration Area, directly for the end users. The exhibition presents the latest machine vision components such as cameras, sensors, frame grabbers, illumination, lasers, optics, software, as well as machine vision systems, application solutions and services, at the Stuttgart trade fair grounds directly beside the airport. BIO-Europe is the largest stand-alone partnering conference & expo for the life sciences. Year after year, BIO-Europe attracts leading dealmakers from biotech, pharma and finance along with the most promising start-ups. Boston Convention & Exhibition Center / U.S.A.
JEC Group has developed into the world’s largest organization exclusively dedicated to the composites industry. Created in 1956, it is entirely owned by a non-profit association. Dushanbe International Healthcare Exhibition (DIHE) will bring together all the key players under one roof, providing exhibitors with a compelling networking opportunity-to precisely target relevant budget-holders in the shortest time possible and at an affordable cost. Abu Dhabi Medical Congress (ADMC) is setting new standards within the industry as a premier regional event with international appeal, attracting exhibitors, visitors and delegates from across the globe. Georgia World Congress Center / U.S.A.
Phar MedExpo is the region's largest health exhibition with exhibitors from over 800 companies and 1,000 hospitals visiting, providing both exhibitors and visitors with opportunities to expand knowledge and experience. It exposes visitors to the latest technologies and advancements in the fields of medicine and health, as well as enriching dialogue during conference and seminars while acquainting visitors with the current status of health in the Middle East. Puerto Rico Convention Center / U.S.A.
INTERPHEX Puerto Rico is your source for finding new products, technology, education and solutions for every step of the pharmaceutical manufacturing process. This event is for pharmaceutical professionals involved in the development, validation, manufacture and packaging of pharmaceuticals. Pragodent is the biggest stomatology exhibition in the Czech Republic and is an ideal arena for all professionals from the dental field to meet each other. The exhibition is aimed at local buyers from the Czech Republic, distributors, dealers and representatives, doctors, pharmacists, and other professionals from the stomatology sector, including internationals. Internatinal Contract Services Expo 2010 (ICSE 2010) is going to be the 10th major international Pharma event in the series, its a truly global exhibition dealing with pharmaceutical outsourcing in the world. ICSE is emerged out as a feasible annual event for pharma industry which offers pharmaceutical professionals opportunities for international manufacturers, suppliers, buyers, users to exchange ideas and form alliances under one roof. Held over three days from 5th - 7th October 2010 at Paris Nord Villepinte Exhibition & Convention Centre, Paris. ICSE 2010 is the market leading event and will be attended by key professionls from the global pharma community, bringing face-to-face potential old and new customers to provide a profitable assistance through a constantly changing global market. ICSE 2010, with a rapidly growing packaging zone, is the world's largest pharmaceutical exhibition attracting more than 25,147 industry professionals every year. Healthcare Estates Conference & Exhibition is the only event that brings you together once a year with your piers and colleagues in the healthcare estates market sector. This two day event will educate, stimulate and enlighten you in the many different functions of your important role with a health care facility. Kenya Medi & Pharm Expo is the ideal platform to introduce products or expand sales. A large number of International companies will provide the global overview of this sector with new innovations and research techniques that are already on or in the anvil. Medtec Ireland, the largest event in the world of its kind brings 1500 leading suppliers to the medical device manufacturing industry together with tens of thousands of attendees representing the world's most innovative medical device companies. McCormick Place – Lakeside Center, Hall D / U.S.A.
Medical Design & Manufacturing Midwest is the principal resource for one of the world's most powerful medical manufacturing regions, which is home to nearly 2,000 medical OEM facilities. Medical Design & Manufacturing Midwest (MD&M Rosemont), the largest event in the world of its kind brings 1500 leading suppliers to the medical device manufacturing industry together with tens of thousands of attendees representing the world's most innovative medical device companies. Expo Medical is the only show in Argentina where you will see a complete range of new and innovative products and services in medical technology and IT equipment, diagnostics, rehabilitation, nursing and consumer medicine. Ukrainamedica Show is the biggest events for medical products include pulse oximeters, pulse oximeter sensors, fluid warmers, cholesterol monitors, stents, infrared emitters, infrared detectors, photo sensors etc. Organized by Messe Stuttgart International at Leipzig Exhibition Centre, Messe-Allee 1, Sachsen, Germany, the Fachdental Leipzig is recognized as one of the largest dental exhibition in throughout the world. Various professionals from dental services welcome to attend the event. Astana Zdorovie provides an opportunity to meet thousands of potential clients face to face, learn about new developments in medicine, discuss pressing issues of the sector, build new business contacts, present your products and services, increase your sales and study the market, add to your company's image and position yourself in the market of Kazakhstan. Slovmedica is devoted to aids for the handicapped people. In order to ensure the exhibitors offers are met with an adequate interest of the professional public, in cooperation with professional guarantors. Slovmedica is the only show in Czech Republic where you will see a complete range of new and innovative products and services in medical technology and IT equipment, diagnostics, rehabilitation, nursing and consumer medicine. The exhibition is the most important dental event in Slovakia offering a complex view on the dental industry. Exhibitors that are presenting themselves include both domestic and foreign producers, distributors and dealers with a wide range of dental instruments and equipment for dental technicians, furnishing of dental technicians' working places and dental surgical rooms, as well as of products in the field of dental hygiene and medicaments. MEDTEC is becoming an increasingly relevant and ideal platform for China-based companies from all quarters of the device manufacturing sector to source all manners of materials, machinery and tool inputs from both local and international suppliers. 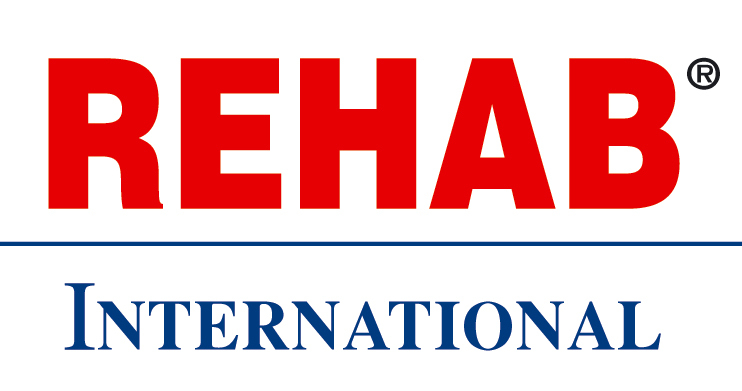 Organizing by Messe Dusseldorf GmbH, the Rehacare is a highly motivated event for those people who require special care. Held at Dusseldorf Exhibition Centre, Postfach 101 006, Nordrhein-Westfalen, Germany, the event offers reputed base for showcasing rehabilitation equipment and supplies. Organized by Messe Dusseldorf GmbH at Dusseldorf Exhibition Centre, Nordrhein-Westfalen, Germany, the Info Dental is 2 days event for promoting dental products in throughout the world. Various professionals from the field of dental services attend such a mega event. ExpoPharm showcases the rapidly progressing scenario of the pharmaceutical industry of Germany. German pharmaceutical industry is highly fragmented, but has grown rapidly due to the friendly patent regime and low cost manufacturing structure. Central European Dental Exhibition (CEDE) is the most important event in dental industry in Poland. CEDE will be the biggest meeting place in Poland where not only market leading manufacturers and distributors take part, but many foreign companies will also be present here. Çukurova Medicine is one of the largest and the most efficient and most popular industry pageant in the medicine and health care industry in Turkey. The event will provide a best platform to meet all the professionals under one roof at the Tuyap Adana International Exhibition & Congress Center. 수납함: Tüyap Fairs and Exhibitions Organization Inc.
Cambodia Economy Being one of the members of WTO, Cambodia's per capita income is rapidly increasing, but is low compared to other countries in the region. The main domestic activity is agriculture and its related sub-sectors. Rice, fish, timber, garments and rubber are Cambodia's major exports. Manufacturing output is varied but is not very extensive and is mostly conducted on a small-scale and informal basis. The service sector is heavily concentrated in trading activities and catering-related services. Market Information The quality of health in Cambodia is rising. As of 2009, the life expectancy was 64 years for females and 60 for males, a major improvement since 1999 with 49.8 and 46.8 respectively. Cambodia's infant mortality rate has decreased from 115 per 1000 live births in 1993 to 54 in 2009. In the same period, the under-five mortality rate decreased from 181 to 115 per 1000 live births. The Cambodian government plans to increase the quality of healthcare in the country and raise awareness of HIV/AIDS, and malaria. International Conference & Exhibition of the Modernization of Chinese Medicine & Health Products showcases the rapidly progressing scenario of the pharmaceutical industry of China. Alongside Chinese companies a large number of International companies will provide the global overview of this sector with new innovations and research techniques that are already on or in the anvil. Miami Beach Convention Center / U.S.A. The FIME 2010 is held at Miami Beach Convention Center, Florida, USA and is one of the highly renowned event for exhibiting allergy products, biopsy needles, cardiology equipments, blood pressure equipments, blood bags etc. It is 3 days event which proves to be successful in attracting large number of buyers and sellers from all over the world. MEDICALL India's Premier Medical Equipment Expo this year coming with its 5th edition, will have its presentation on 06-08 August 2010, Chennai Trade Centre, Chennai. Medicall an ideal platform to reach the target audience in Indian Health Care Industry. MEDICALL is pleased to bring together once more the best in the business of hospital, diagnostic, pharmaceutical, medical and rehabilitation equipment and supplies. This edition of MEDICALL specializing in Hospital management software, Energy saving equipments, Hospital flooring, Housekeeping equipments, Nurses alarm system, Liquid oxygen and central pipeline, Physiotherapy equipments, Autoclave and sterilizer. 5600 trade visitors attended, 4th edition of Medicall in 2009, out of which 70% were hospital administrators and doctors. 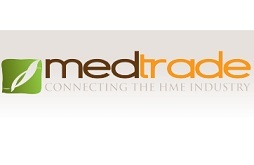 MEDICALL the only trade event in Medical sector for end users, hospital owners as well as the dealers. International Modern Hospital Show (IMHS) is the only trade show in Japan which is open to the dealers, buyers, doctors, nurses, and medical-related industry people (not open to the public). Over 360 companies participated in IMHS 2010. Spanning on 3 days, the PHARMACEUTICAL INGREDIENTS JAPAN 2010 proves to be highly vital pharmaceutical ingredients event of Japan. Organized by Reed Exhibitions Japan Limited at Tokyo International Exhibition Center, Tokyo, Japan, it is a recognized trade fair, which is pharmaceutical ingredients specialized. Some of the exhibiting items include antibodies, fine chemicals, flavors & perfumes, solvents, medicinal plants etc. 수납함: Reed Exhibitions Japan Ltd. There is a high demand for pharmaceutical processing and packaging machinery equipment and instruments in China representing the country's largest industry. The growth in demand for pharmaceutical manufacturing facilities will further stimulate the market for machinery and equipment. It is an exciting environment into which the Pharmaceutical Machinery and Equipment Convention, P-MEC China, will be launched alongside CPhI China and ICSE China. 2014 CWIEME Berlin - The World’s largest International Coil Winding, Insulations & Electrical Manufacturing Exhibition, 18 years of contnuous growth have made CWIEME Berlin the largest coil winding trade show in the world. The show attracts more than 700 exhibitors from 40+ countries and over 5,000 visitors giving it an international reach that no other show can match. 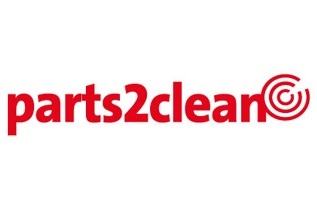 parts2clean is world’s only trade fair with an exclusive which focus on the value creation sequence for industrial parts cleaning and surface cleanliness. 90% of all visitors from 39 countries are involved in company decision making processes. More than 50% first time visitors assure an optimised new-contacts quota. 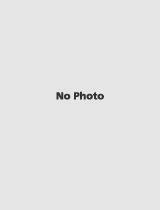 Sheraton San Diego Hotel and Marina / U.S.A. The event will bring together all the key players under one roof, providing exhibitors with a compelling networking opportunity-to precisely target relevant budget-holders in the shortest time possible and at an affordable cost. Taiwan External Trade Development Council (TAITRA) is the foremost non-profit trade promotion organization in Taiwan. bilisi Beauty & Medical Aestetics fully covers the fields of Cosmetic Products and Services, Perfumery, Hair Care Industries and Medical Esthetics. This project will arouse the interest of both professionals and general public and will become the best opportunity to promote products, enter immerging Georgian market, get the complete information about the innovations. Cardiostim offers the attendees the best possibilities to learn more about the latest developments and products in the field of cardiac pacing and electrophysiology. After 15 years the 3C concept has been brought from the UK to Germany. In 2010 the premiere of 3C Europe successfully connected industry suppliers and users at the exhibition and presented a niche that the industry had been asking for. BALTDENTICA is the exhibition of dental materials and equipments. BALTDENTICA will shocase Dental equipment, Dental Materials, Medicine, Pharmaceuticals, Hygiene, Clothing and Protective Products and Specialized Magazines. This two day exhibition is being organized by Poznan International Fair Limited, and will be held on June 11th and 12th, 2010 at Gdanskie Forum Stomatologiczne, Poznan. BIO Korea offers you all the information on bio industry across the world including the trends of global bio industry, technological development of organ treatment, business models for bio companies & marketing techniques for strategic alliances. BIO Korea 2010 Exhibition expect to host 350 companies and 25,000 visitors from all over the world including US, Japan, EU, and Australia. This event will be an outstanding exhibition at an international level embracing every field of BIO industry. INTERPHEX Asia is the only event dedicated to the pharmaceutical manufacturing industry in Asia. Bringing together the pharmaceutical manufacturing professionals in the Asia-Pacific region and international suppliers, the event is the platform to network, meet industry suppliers and get updates on industry developments. General Practitioner Conference & Exhibition (GPCE)-Melbourne is a A wonderful opportunity to network with government decision makers and country delegations from around the world. Organized by Reed Exhibitions, Australia, the organizers in addition to extensive marketing campaigns offer each exhibitor tailor-made match-making service through their marketing service. CPhi Japan showcases the rapidly progressing scenario of the pharmaceutical industry of Japan. Alongside Japanese companies a large number of International companies will provide the global overview of this sector with new innovations and research techniques that are already on or in the anvil. For more than 40 years, Cosmoprof has been the world’s most important international event in the beauty and cosmetics sector, now also with a special focus on the Spa industry. SoGeCos acts as the Beauty Partner for businesses operating in this industry, sharing their aim to optimise firms’ presence in the fair and maximise the development of business opportunities through initiatives tailored to facilitating contacts between exhibitors and visiting buyers. At Fibo more than 500 exhibitors from various sectors of the industry will present their new products and innovations. Wellness & beauty, training equipment, facilities and services are examples of the wide spectrum that is presented at the fair. A specific value of the Fibo are the issues of health and prevention. 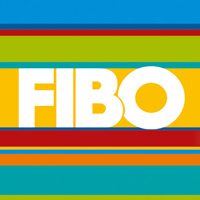 For commercial visitors, the Fibo also serves as the annual industry gathering No. 1 and provides the ideal opportunity for sharing information and for networking. INDUSTRIE Paris is the meeting place for professionals looking to network with qualified contractors with promising projects.It's also the opportunity to meet with policymakers looking for technical and technological innovations. Altenpflege is the leading trade fair for the elderly care in Europe. It takes place annually, alternating between the two exhibition areas of Hanover and Nuremberg, where it takes place in all odd years in Nuremberg and in even years in Hanover. The offer of the fair is mainly characterized by the combination of classical care issues and new solutions for the market. Decision makers and nurses can check on the Altenpflege on the latest innovations and impulses for the industry. Organizing by Messe Dusseldorf GmbH, the Beauty International is one of the most renowned event for cosmetics and beauty products. Held at Dusseldorf Exhibition Centre, Nordrhein-Westfalen, Germany, it is 5 days event which will be attended by more than 50,000 visitors. Over 1000 exhibitors will display various beauty products etc. CHINA MED is one of the most influential exhibitions in Chinese medical instruments and equipment industry, which is co-organized by the Health Department of General Logistics Department of Chinese People’s Liberation Army, China World Trade Center Co., Ltd., Hui Tong Xingye International Exhibition (Beijing) Co., Ltd. and Messe Düsseldorf (Shanghai) Co., Ltd.
수납함: China World Trade Centre Co., Ltd.
For 2 days, the OrthoTec Europe event is being organized by the Canon Communications. Held at the Messezentrum Zurich in Switzerland, the event is a highly entrusted trade fair for Orthopedic Design and Manufacturing Professionals. OrthoTec Europe will emerge out as a vital podium for bringing together Pharma Formulators & Product Development Services. ARABLAB has always been one of the most influential laboratory and instrumentation events in the world… now dynamic growth has resulted in the show being recognised as one of the most important annual events in the industry calendar. Innovation and strategy for pharma, biotech and the R&D community. well recognized brand in the world of Indian Dentistry. This year Famdent celebrates its 10th Anniversary and is scheduled to run from 4th to 6th June 2010 at World Trade Centre, Cuffe Parade, Mumbai. Famdent aims to help every dental professional experience 360 Degrees Revolution of Dentistry through an educational program with dynamic speakers along with a Mega Trade Show showcasing latest trends and technologies in the industry. Famdent Show 2010 will provide a great opportunity to all leading manufacturers and new corners to expand their market in India and create new connections with establishments from around the world. Famdent Show 2010 is a power-packed program with dynamic speakers and informative workshops and the show will also showcase the latest trends of Dental Medicine and Dental Technologies equipments all under single roof. das Interventionell Radiologische Olbert Symposium (IROS) hat sich in den vergangenen Jahren als der führende Kongress für eine qualifizierte Weiterbildung auf dem Gebiet der interventionellen Radiologie im deutschsprachigen Raum etabliert und war auch 2012, mit fast 800 Teilnehmern, wieder außerordentlich erfolgreich. After two editions Koelnmesse has come to the conclusion to discontinue IDEM India. Despite all effort the Indian Market and the dental industry does not adopt the show concept of an international exhibition and conference - IDEM INDIA. The organizers could not establish the show in India in a profitable scale as planned. However, if the basic conditions in the Indian Market and Dental Industry change, the organizers are willing to review the decision. The organizers would like to thank all clients and partners for their support in the past two shows. Chinese Orthopaedic Association (COA) is one of the specialty societies under Chinese Medical Association. Aiming at promoting scientific exchange, providing orthopaedic education, and improving the orthopaedic health service level, COA was founded in 1980 in Tianjin at its first national meeting. 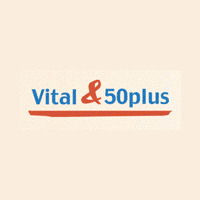 Vital50plus in Potsdam is a fair for seniors and revolves around health issues. Visitors have the opportunity to have hearing tests and the like directly at the fair. Besides the exhibition there are also numerous technical presentations on health and everyday topics, workshops and stage shows. This November, nearly 60,000 professional of medical image industry from across the globe will converge on Chicago to witness the latest discoveries, techniques and innovations. Join us for the world’s most important annual event in medical imaging. 어떻게 전시회 웹 페이지 작업을 지원 하는가?